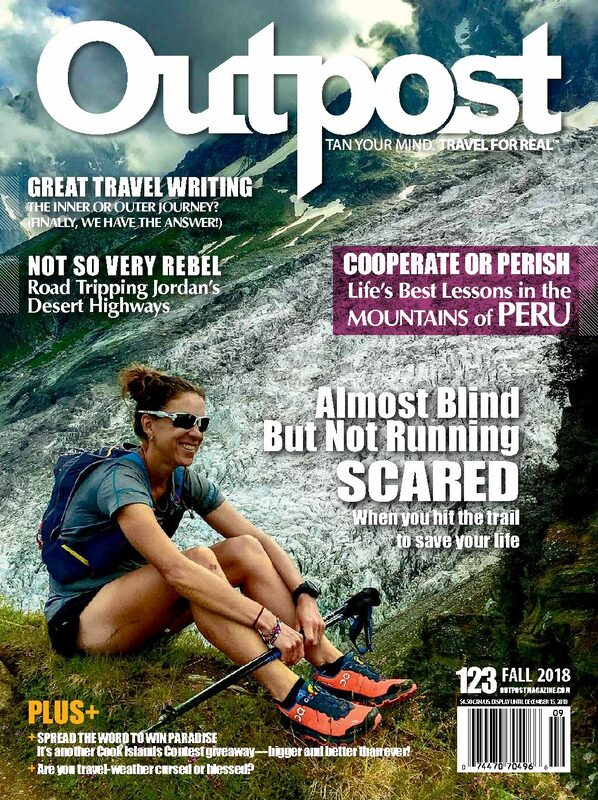 Canadian Jill Wheatley writes about how a traumatic brain injury left her almost blind—in a foreign country—and how she takes to the trails and mountains to regain her life. In Cooperate or Perish, it’s life’s best lessons in the mountains of Peru as JEFF FUCHS hits the Salkantay Trek to Macchu Pichu and explores Peru’s spectacular highlands. And in Not So Very Rebel brothers Jeff and Scott Wilson (of the travel shows Departures and Descending) hit the red-desert highways from Amman to Aqaba and beyond. Finally, is great travel writing about the inner or outer journey? Ryan Murdock heads to London to find the answer.